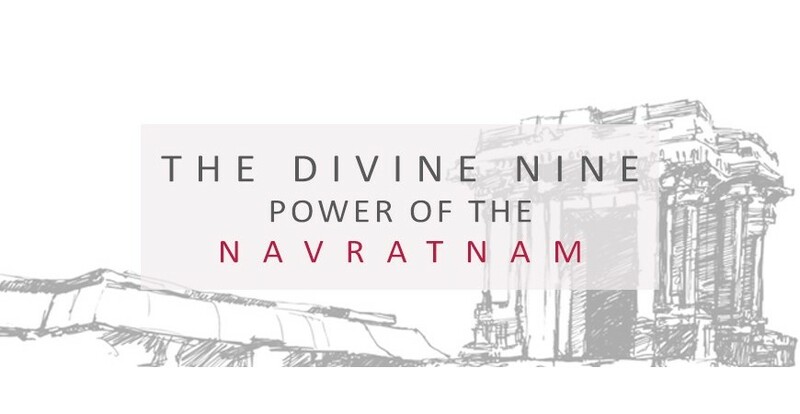 As per ancient Indian Vedic beliefs, the ‘Navratnam’ is an amalgam of the nine most precious gemstones, renowned for their powers of spiritual healing. The mystical tradition of wearing the nine gems, linked to the nine planets is said to bring about great positive changes in all aspects of life. Although the origins of Navratnam cannot be traced back in written history, many cultures accept the sacred practice and even the modern believers of scientific gemstone therapy have taken note of it with approval. Representing the sun god, who is said to be the king of planets and the soul of the zodiac, a Ruby is always placed in the centre of any navratnam jewellery. It is believed to enhance the name, fame and power of the wearer. It can also raise the individual far above the status into which he was born, leading them to success and recognition. All other gems surround the central ruby clockwise from the top, starting with a diamond for Venus, the planet of beauty and luxury. It is believed to improve financial status and provide the wearer with a life of comforts and peace of mind. It creates goodness while removing all evil and fearful thoughts from the mind. The second stone from the top, a natural pearl is the gemstone of the moon god, who rules the mind and emotions . It also signifies calmness, peace, health, and wisdom. Wearing the pearl is said to calm emotions, soothe the mind and help concentrate on good things. It is also believed to bring economic prosperity and success. The red coral represents Mars, the ruling planet of Aries and strength of the zodiac. It instils in the wearer perseverance, courage, fortitude and the ability to face and overcome obstacles. It is also said to enhance professional creativity, aid in the gaining of land and property, and to ensure a long married life. Hesonite represents Rahu, the shadow planet or the point of intersection between the paths of the sun and the moon in the sky. Rahu is believed to be responsible for all kinds of delays in fulfilment of ambitions. Hesonite protects the wearer from sudden misfortunes and ensures speedy success in all endeavours. Regarded as the perfect stone for Saturn, the karmic planet, blue sapphire is said to remove all negative effects of the much feared Shani. It helps alleviate misfortune and is believed to bestow upon the wearer all that can be desired; health, wealth, longevity and happiness. It also restores lost wealth and property. Ketu is the second shadow planet or the southern node where the paths of the sun and moon intersect in the skies, and cat’s eye is said to counter the evil effects of Ketu. It is believed to protect the wearer from hidden enemies, mysterious dangers and diseases. It also guards the person from sudden accidents or mishaps. Representing Jupiter, the planet of knowledge and the teacher and guide of the gods, the yellow sapphire is a symbol of power, strength, kindness and wise judgment. It is said to stimulate intellect and increase focus towards the achievement of success in career. It also encourages the exploration of moving in new directions. The gemstone of Mercury, representing intellect in the zodiac, it rules communication in an individual. Wearing it is said to improve faculties related to the brain such as memory, communication, intuition, the intellect, and the ability to learn. It also cures fickle-mindedness, loss of memory and stammering, and is said to safeguard against negative energies.